For more than twenty years, Salinas Forwarding has been a force in international shipping. What we bring to each project is perhaps similar to what you bring to your own business: care, knowledge, and impeccable standards. It would be a pleasure to assist with your unique freight forwarding needs. We would also be happy to evaluate your current forwarding methods and discuss ways your company might achieve cost savings and efficiencies. There is, of course, no cost or obligation. Please call so that we can make arrangements. International freight forwarding has never been simple. But today there are added complications in getting your shipment smoothly to its destination. Governmental regulations, already quite complex, can change overnight. Shipping standards vary and cargo rates fluctuate from day to day and carrier to carrier. And, of course, foreign languages present their own unique challenges. That's why when it comes to international & domestic fright forwarding, everything points to Salinas as the right choice. Licensed by the Federal Maritime Commission in 1974, our company has offices in Houston and New Orleans as well as around the world. Our personnel are bilingual and thoroughly trained in maritime, air, and land shipments to any world destination. 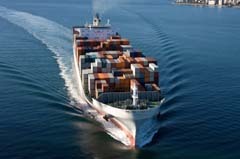 They keep abreast of changing policies worldwide, including customs regulations, duties, and tariffs. 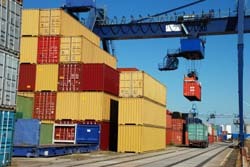 Their knowledge helps eliminates frustating delays, fines, impounded shipment, spoilage, and other obstacle that can derail international shipments. From steamship companies to truck lines to airlines, we find the most advantageous combination of carrier for each shipment. Our goal is always to achieve the best pricing, scheduling, and cargo security for our clients. We are expert in arranging insurance coverage at the lowest possible rates. We negotiate letters of credit and handle other banking procedure for you. Our export crating is tailor-made for the unique requirements of your products. Our rates are the most competitive. And, we provide the most diversified forwarding services.